NAHB's newly released 55+ Housing Market Indices indicate that builders in the 55+ housing market are significantly more optimistic about production and demand factors for multifamily rental units than they are for sales of single-family homes or multifamily condos. In fact, all components of the latest confidence gauges that measure production and demand for 55+ multifamily rental units increased significantly in the second quarter compared to the year-ago period. At the same time, indices measuring production and demand for single-family units and condos remained virtually unchanged from a year ago. The results indicate that, not unlike those in other age groups, many consumers in the mature market sector are hesitant to buy right now due to uncertainty about the economy and concerns about selling their existing homes, as well as problems with low appraisals and tighter mortgage underwriting requirements. However, a big increase in the index gauging expected demand for 55+ rental units over the next six months could foreshadow a shortage of such units in the future, since demand is already running ahead of production and builders continue to experience extreme difficulties in accessing construction credit. 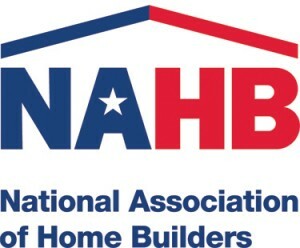 Read more in this NAHB press release, or contact Ashok Chaluvadi at 800-368-5242, x8482.